But with Boeing still grappling with the fallout from the 737's grounding, a decision on the new model - which has been dubbed the 797 within Boeing - likely won't come until next year. Last month, Italy became the first G-7 nation to officially join what has been derided as Xi's "neocolonial project". The sweeping plan to create new economic and infrastructure links between Europe, Asia and Africa is one of the signature projects of Xi's rule. "China is a little bit unique in that it has misused a lot of wide-body planes," Tinseth said on the sidelines of an aviation conference on the trade initiative. "A middle-of-the-market airplane would better allow them to optimise that process, so it’s an opportunity in China, no question." In Boeng's battle with Airbus over supremacy in the global aviation market, China is a key prize. Expected to become the world's largest aviation market by the mid-2020s, the world's second-largest economy is expected to buy some 7,690 planes. According to Boeing marketing chief Randy Tinseth, the new plane would be a boon for China, which he says has "misused" wide-body planes on these types of medium-length routes. "For a middle-of-the-market airplane, 40 per cent of the market in general is in Asia, and 40 per cent of the demand for a new mid-sized aircraft would be here as well. There is no mystery there," Tinseth said. Tinseth added that Boeing's timeline would involve getting the new plane in the air some time during the middle of the next decade. Then again, it's also possible that China's home-grown rival Comac could dominate this market as it seeks to become a "third option" challenging both Boeing and Airbus. Though involving Comac in the production of such a plane could give Boeing an edge. 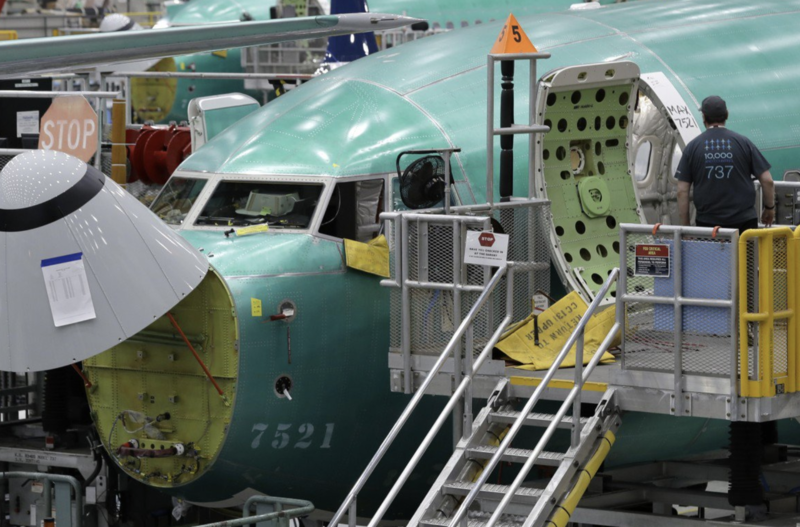 Another challenge for Boeing is the trade war. Despite opening a delivery center at Zhoushan in Zhejiang province to focus on assembling the 737, Boeing hasn't secured an order from China since late 2017, before trade tensions between the US and China flared. Meanwhile, Airbus last month secured a $33 billion order for 300 planes. Cathay Pacific Airways, one of Asia’s biggest carriers and Hong Kong’s flagship airline, said a medium-haul plane might not be necessary due to limited appetite for new flights along belt and road routes, but this was in part because many governments in Central Asia have been stingy about handing out flying rights to foreign airlines. And as economic growth increases, that demand would likely rise. But if Boeing can't convince the world that its planes are safe, or if the Trump administration fails to secure a trade deal with China, the 797 could be dead before it ever begins.